A young pretender raises an army to take the throne. Learning of his father’s death, the adolescent, dashing and charismatic and descended from the old kings of the North, vows to avenge him. He is supported in this war by his mother, who has spirited away her two younger sons to safety. Against them is the queen, passionate, proud, and strong-willed and with more of the masculine virtues of the time than most men. She too is battling for the inheritance of her young son, not yet fully grown but already a sadist who takes delight in watching executions. Sound familiar? It may read like the plot of Game of Thrones. Yet that was also the story of the bloodiest battle in British history, fought at the culmination of the War of the Roses. George RR Martin’s bestselling novels are rife with allusions, inspirations, and flat-out copies of real-life people, events, and places of medieval and Tudor England and Europe. The Red Wedding? Based on actual events in Scottish history. The poisoning of Joffrey Baratheon? Eerily similar to the death of William the Conqueror’s grandson. The Dothraki? Also known as Huns, Magyars, Turks, and Mongols. Join Ed West, author of Skyhorse’s A Very, Very Short History of England series, as he explores all of Martin’s influences, from religion to war to powerful women. 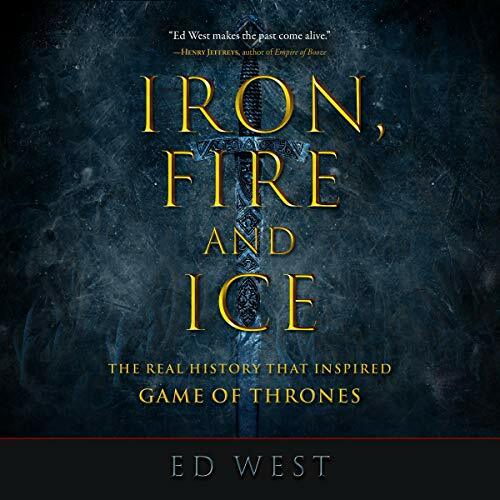 Instead of despairing while waiting for Season 8 of Game of Thrones, discover the real history behind the phenomenon and see for yourself that truth is stranger than fiction. ©2019 by Ed West. (P)2019 Brilliance Publishing, Inc., all rights reserved.